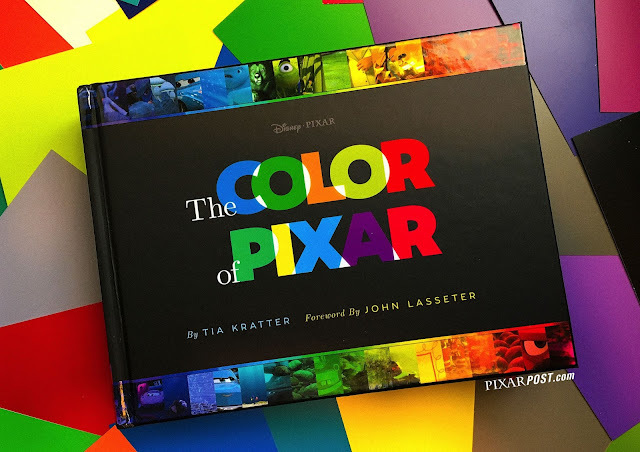 The Color of Pixar is a gorgeous book that compiles hundreds of still images from Pixar films organized by the colors the rainbow. The 8"x6" hardcover art volume (by Chronicle Books) is packed with still frames that highlight the wonderful characters, brilliant landscapes, and up-close details from the catalog of films ranging from Toy Story all the way through Coco (yes, through Coco). Be sure to watch our video review embedded below (or on our Pixar Post YouTube Channel) to get a closer look at the pages and details included in the book. Be sure to pick up your copy of The Color of Pixar on Amazon (available August 8, 2017). The Color of Pixar is a gorgeous book that compiles hundreds of still images from Pixar films organized in the colors of the rainbow. Watch our video review of Tia Kratter's wonderful book which explores how color affects a scene.